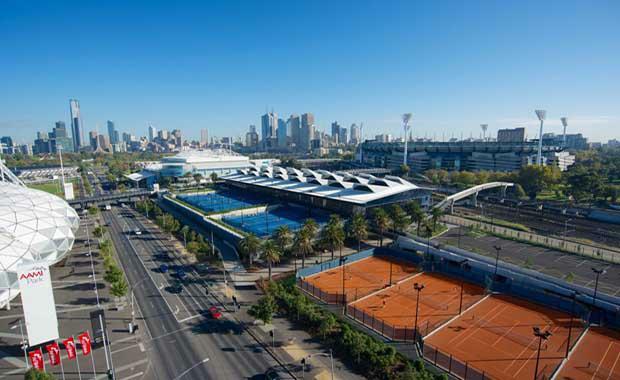 Last week the Victorian Government announced that the $700 million Melbourne Park redevelopment has continued to progress, with the appointment of three design firms to deliver the project’s second stage. John Wardle Architects will design the new Batman Avenue footbridge. Built Pty Ltd has been awarded the Design and Construction contract for the Administration and Media Building, the first sub-project of Stage 2 of the Melbourne Park Redevelopment. Built was selected from a short list of five contractors on the basis of their excellent site team, comprehensive understanding of the project requirements and commitment to minimal disruption of Melbourne Park during construction. “The three projects each attracted submissions from a world-class contingent of the best local and international firms,” Mr Hodgett said. Mr Hodgett also said the designers were excited by the opportunity to design the Batman Avenue Bridge, with 21 firms making submissions for the high profile addition to Melbourne’s cityscape. “Each of the three appointed firms has an extensive track record of successful projects in Australia and around the world, and I’m sure each will make a welcome contribution to the Melbourne Park Precinct,” Mr Hodgett said. Sport and Recreation Minister Damian Drum said the second stage of the redevelopment would build on the successes of stage one. “The $338 million second stage of the Melbourne Park Redevelopment will upgrade facilities and improve the amenity of the entire precinct,” Mr Drum said. Work will begin on site after the 2015 Australian Open with completion expected in 2016.